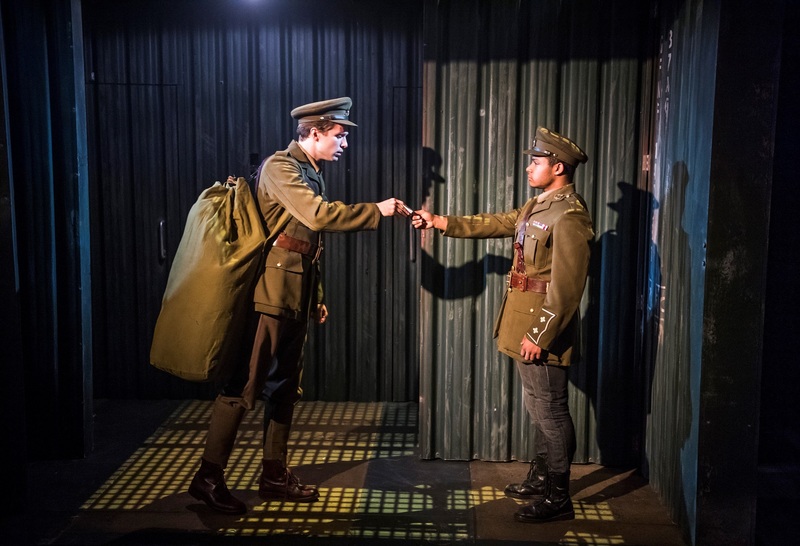 Review: The Unreturning by Frantic Assembly and Theatre Royal Plymouth. Curve Leicester. – East Midlands Theatre. 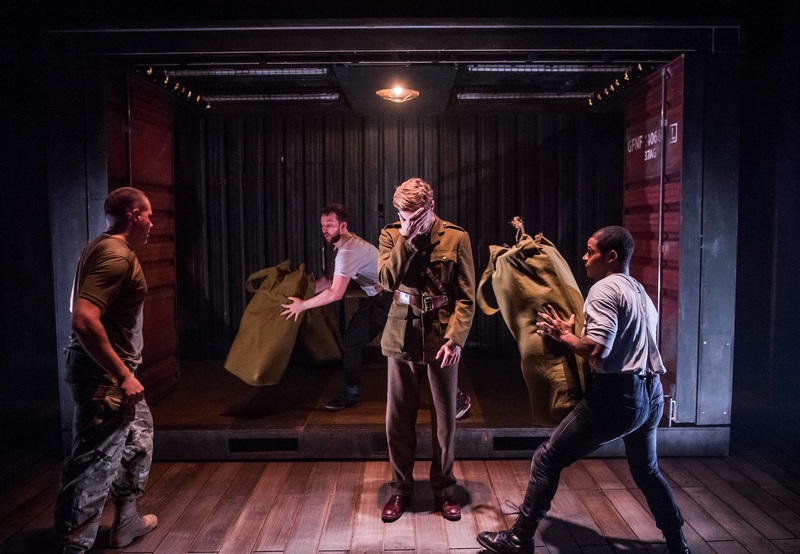 Review: The Unreturning by Frantic Assembly and Theatre Royal Plymouth. Curve Leicester. 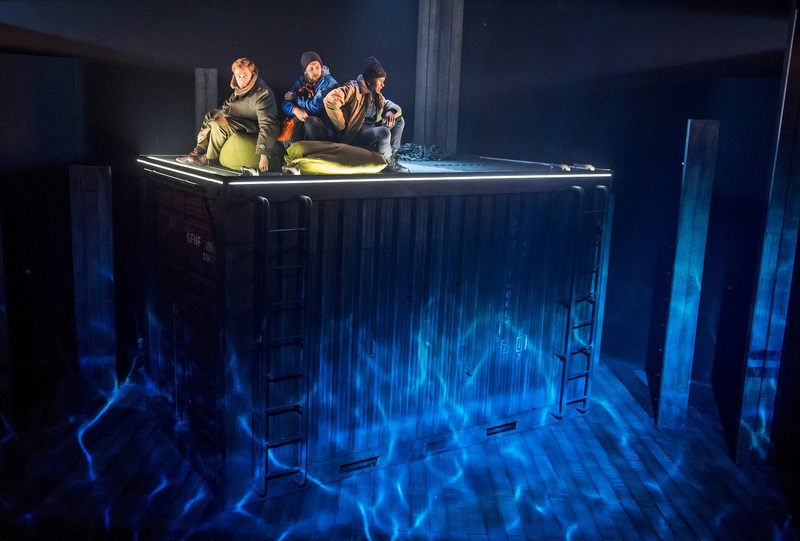 Anna Jordan’s The Unreturning by Frantic Assembly and Theatre Royal Plymouth is a poetically dark dance theatre work that powerfully explores the theme of what it means to return to your home after a critical life changing experience. It does so through three young men who are soldiers from three different explosive points in time – 1918 – 2013 and the future world of 2026. The home town for all three is the coastal resort of Scarborough. Throughout the telling we realise that Scarborough itself has physically scarred memories and uncomfortable discoveries for the three men. Home isn’t always a place of warm loving welcomes, yet it has deep connections with each soldier. Four performers tell the often brutal stories through Jordan’s text and dance/movement. Their main roles are Frankie (Jared Garfield), George (Joe Layton), Nat (Jonnie Riordan) and Finn (Kieton Saunders – Browne). Anna Jordan’s beautiful and complex script also integrates twenty-five other characters which are played with great skill and nuance by the four. 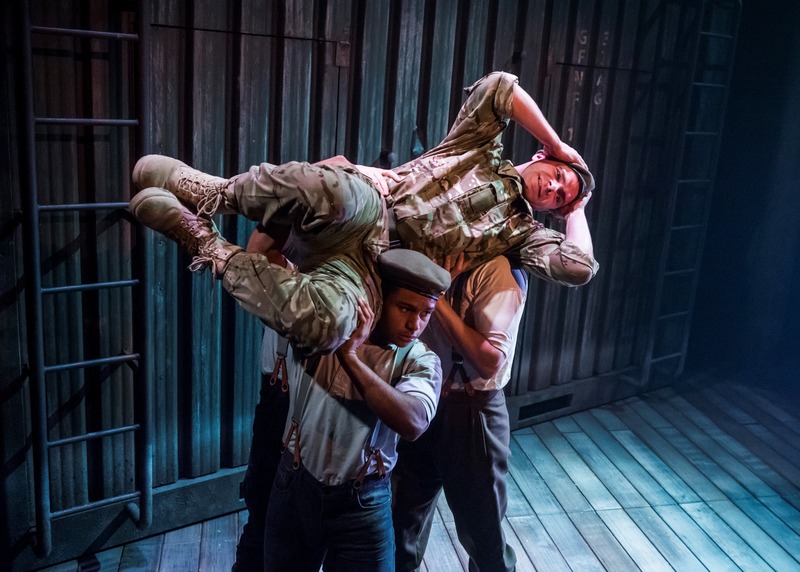 These male performers are constantly engaging in verbally and visually expressing their characters’ difficult war driven and battle striven stories in the most inventive, choreographically tight and dynamic way. Their command of Anna Jordan’s poetic very masculine script, including chorus work, is startlingly accomplished. All of the cast are alumni of Frantic Assembly’s Ignition programme. The Unreturning is superbly directed by Neil Bettles. 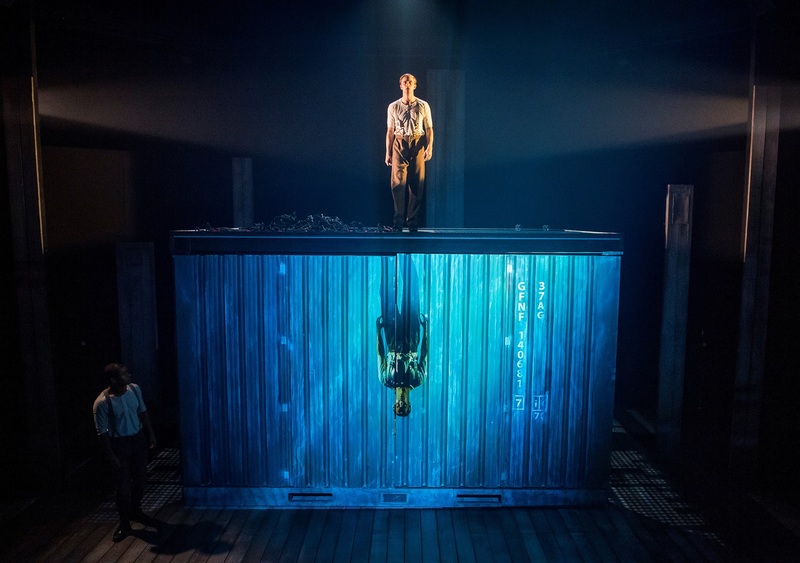 The whole ‘Unreturning‘ experience is supported magnificently by the set and video design (Andrzej Goulding); the brilliant lighting (Zoe Spurr) and sound designer Pete Malkin’s amazing and often frightening soundscape. The central visual motif of shipping container allows enormous flexibility in terms of expanding the motif to a variety of other harrowing locations. It’s ability to revolve creates wonders of visually sharp dexterity of journeys and places. It is physically explored with energy and great theatre craft that cleverly blends naturalism with subtle theatricality. Mental landscapes are given full expressive reign through combined work from all of the technicalities from the actor led personal to the technical skills of the creative engineers. The first night audience at Curve Leicester studio is predominantly made up of excited young students. They love it. Frantic Assembly is currently studied as leading contemporary theatre practitioners on five British and international academic syllabuses. As co-producers Theatre Royal Plymouth are enjoying their eighth co-production with Frantic Assembly. The Unreturning runs at Curve Leicester until Saturday 16th February.